Three commercial flights, a float plane, a two-hundred-ton marine vessel, and a raft; followed by a trek through swamps, rocky shorelines, and dense brush. 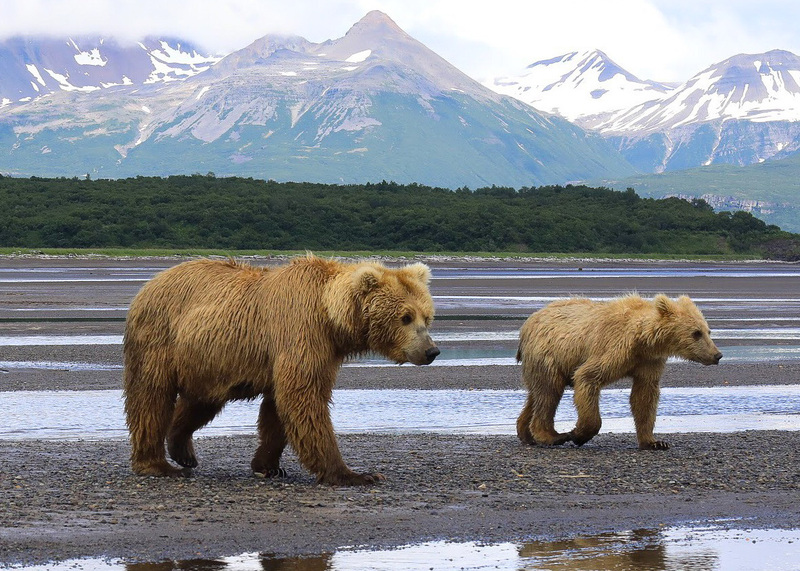 This was my journey to the isolated wilderness of Alaska’s Katmai Peninsula. 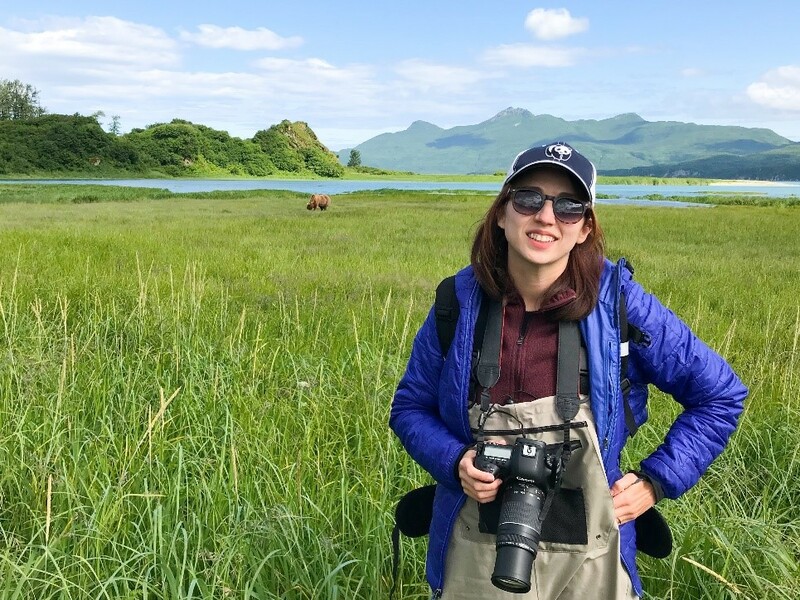 As a member of WWF’s Media & External Affairs team, I work from my desk in Washington D.C. communicating the importance of conservation to the public. However, until recently, most of what I knew about the threatened species and places we work to protect was from words and pictures. 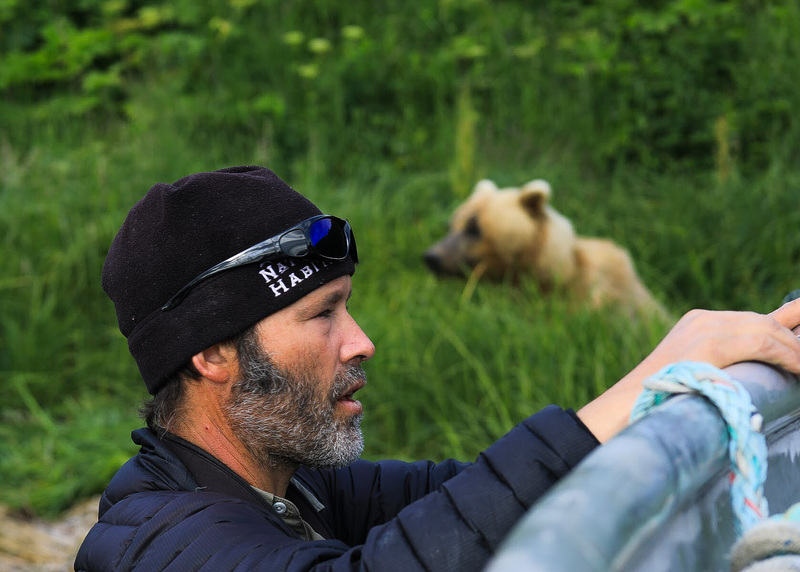 That changed this summer when I joined WWF and Nat Hab on their Great Alaskan Grizzly Encounter. Through this opportunity, I was able to experience the pristine, untamed landscape of a region hidden to most of the world and begin to understand firsthand why saving this ecosystem is not only crucial for wildlife, but also for the local communities and livelihoods it supports. 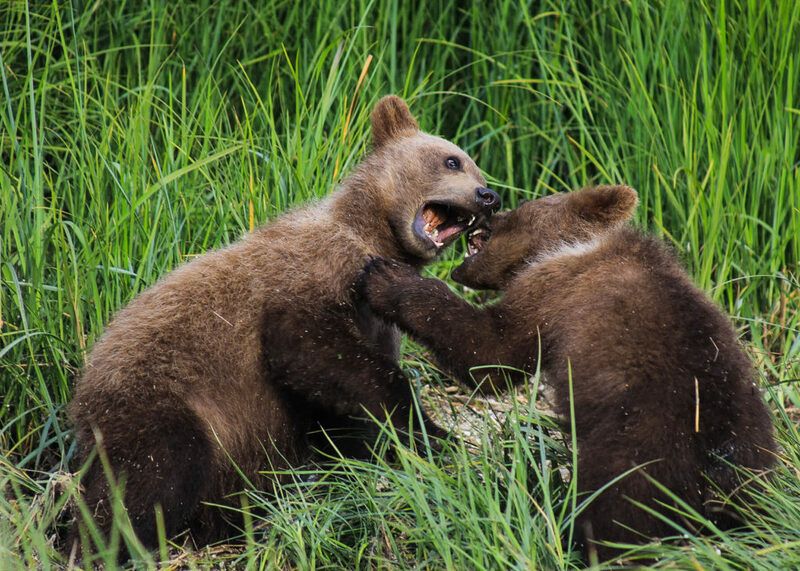 The Katmai Peninsula is home to the world’s largest concentration of brown bears and one of the few remaining unaltered habitats with sustainable populations of wild salmon. 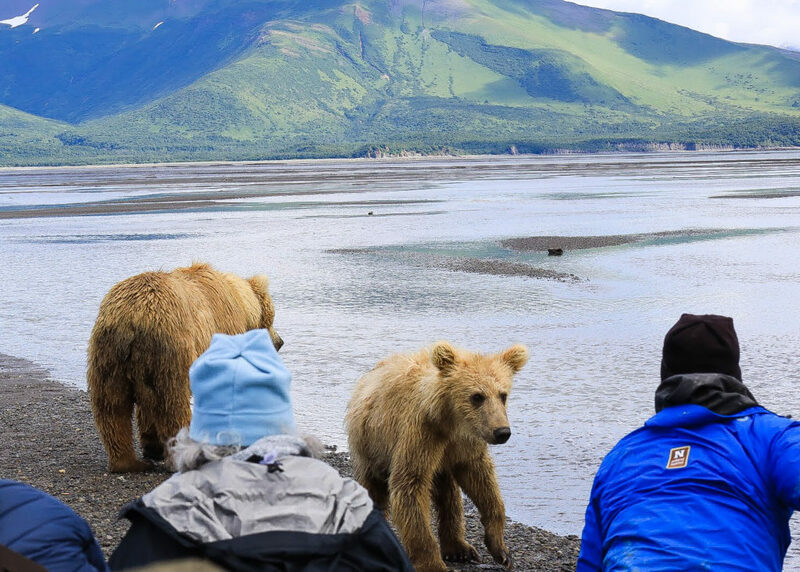 These elements build the foundation for a tourism industry centered around fishing and bear watching. 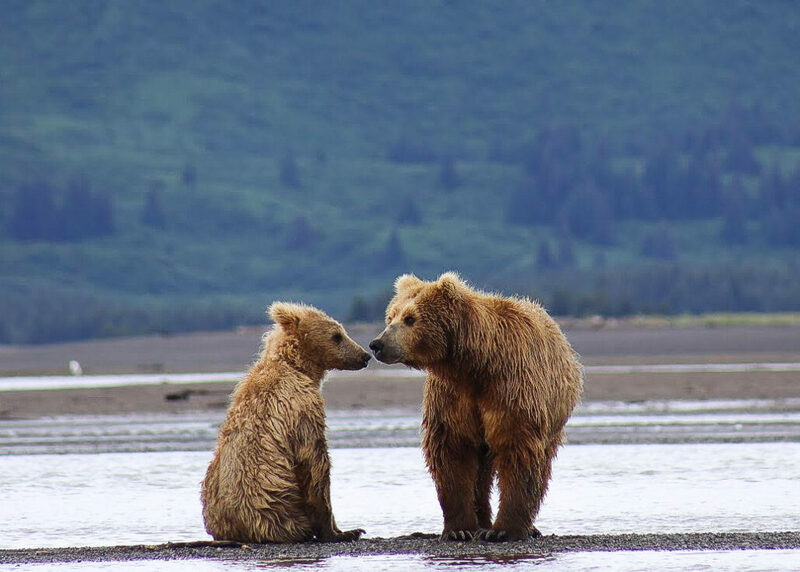 Still, what makes Katmai unique is the balance that exists between bears and humans. 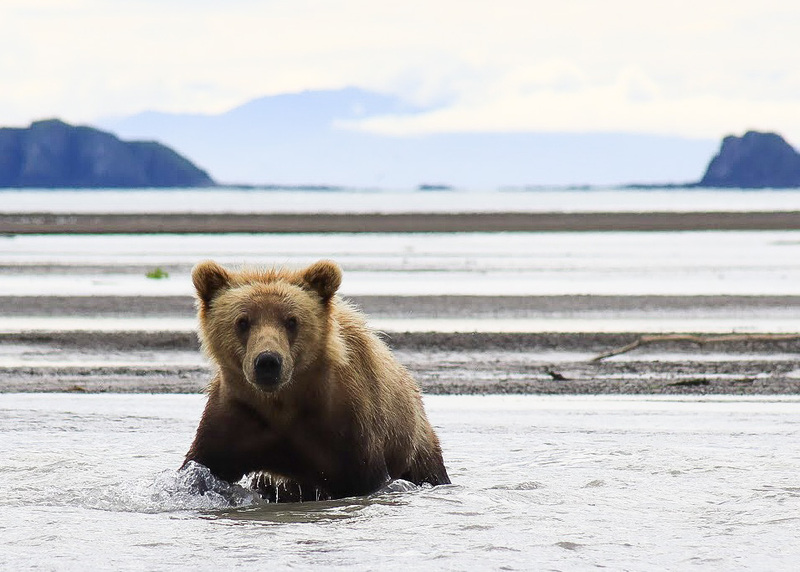 Few people make the trip each year, limiting bears’ exposure to humans, and hunters are not permitted, allowing them to roam without fear. 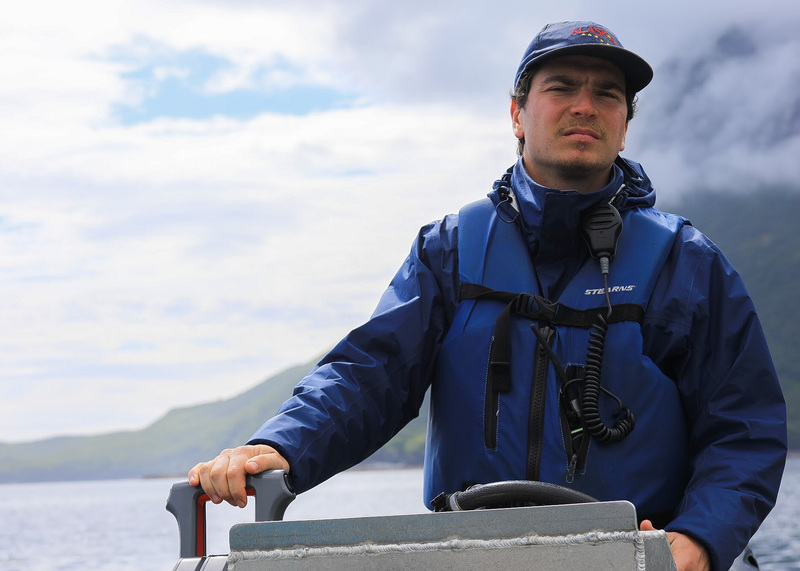 Furthermore, local expedition leaders like Nat Hab’s Brad Josephs maintain a delicate trust and promote respect for nature through sustainable travel. That’s why only here can visitors observe these creatures up close and witness their most intimate moments. 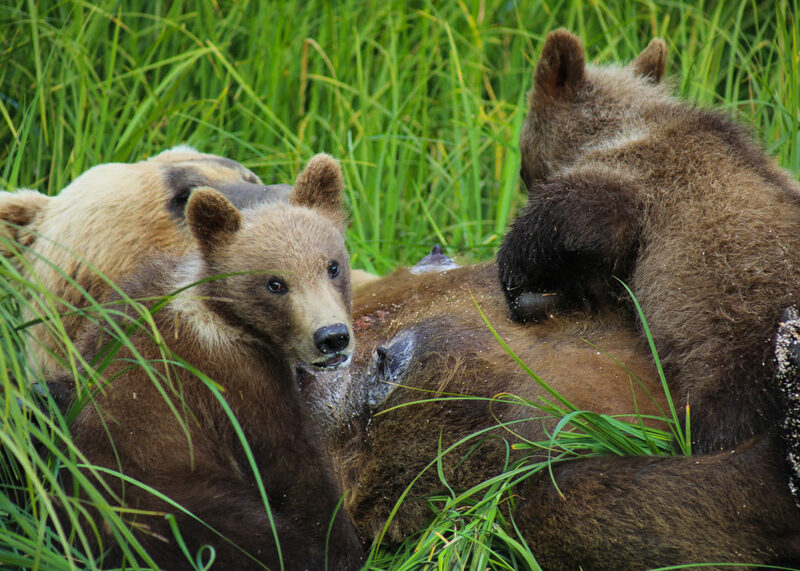 A mother bear nurses two first-year cubs. This balance could all be destroyed with the proposed Pebble Mine nearby. 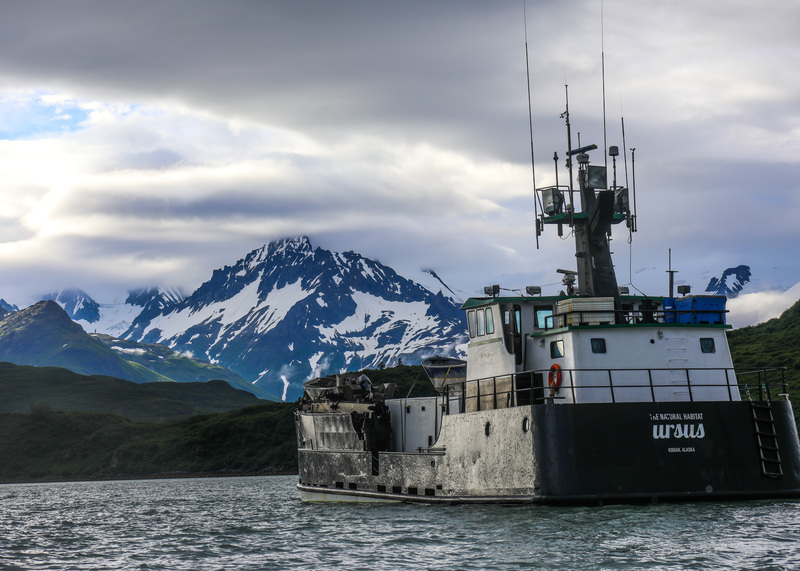 Bristol Bay, located off the Katmai coast, is the desired site of the mine, as well as home to the world’s largest wild salmon fishery. Plans for the mine include an infrastructure of pipelines, roads, and shipping lanes that would devastate the area and jeopardize salmon runs. 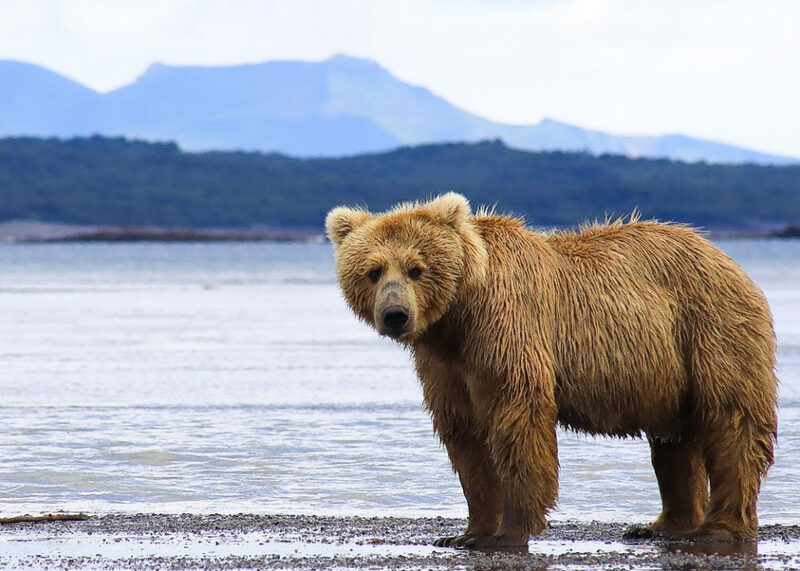 Bears along with species including sea otters, beluga whales, humpback whales, eagles, caribou, and moose would be in danger. Additionally, at risk would be thousands of jobs dependent on the salmon trade and wildlife tourism; from expedition leaders to boat crews, pilots, and hospitality staff. 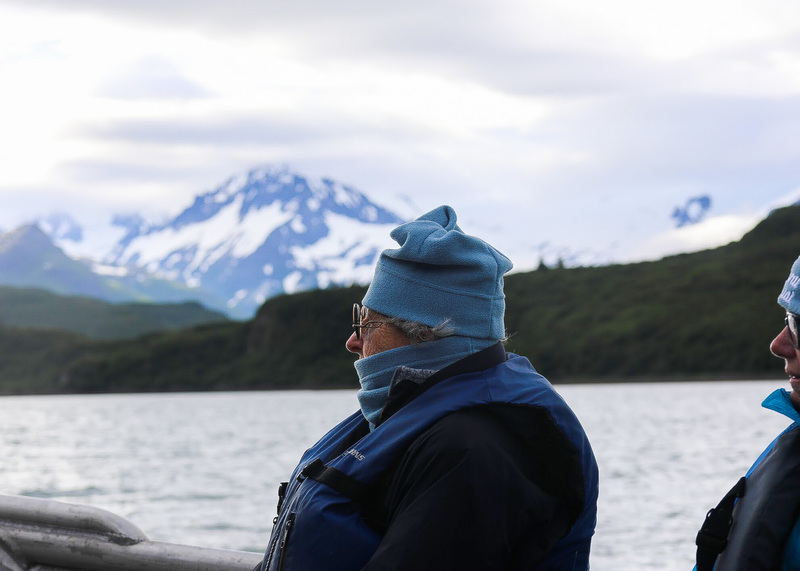 All the voices heard along our trip informed the group’s knowledge and enriched our time in Alaska. Upsettingly, the proposed construction could devastate this locality that has built a diverse economy centered around community and the effective management of its resources. Upon leaving Alaska and returning to my desk at WWF, I am eager to get back to work. I feel fortunate to have traveled alongside Nat Hab’s experts and glimpsed a corner of our planet few ever reach. 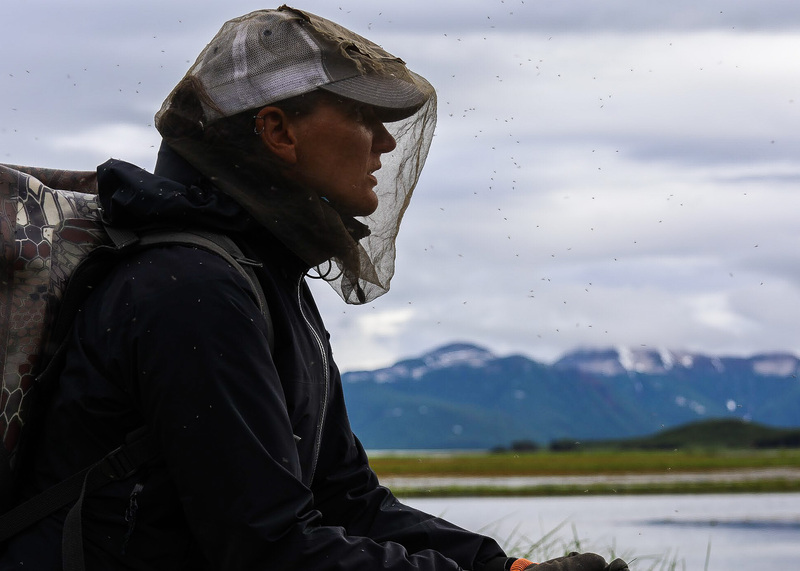 This adventure taught me it is imperative to share my stories with the outside world and advocate to preserve this ecosystem for future generations. As of August 2018, nearly 220,000 WWF Activists spoke up and took a stand against Pebble Mine, but the fight is not over. The Army Corps of Engineers is expected to submit its assessment of the mine’s environmental impact this winter— so raise your voice. Together, we can maintain our balance with nature. Creating a future where both people and wildlife thrive in this vast, unparalleled land and beyond.